Hampton Park United Sparrows FC is a non-profit and volunteer run organisation. We are a competitive football club with a focus and philosophy to be the leading, highly respected "football club of choice” for our players, parents, members and the local community. Our relentless commitment to assisting and driving inclusion for the youth and underprivileged athletes is highly notable within the local and surrounding communities. We pride ourselves on our multicultural member base and is one of our greatest assets that we openly celebrate as a whole; no cultural or gender boundaries. The passion for the world game and willingness to participate and have fun is our strongest and common connection. We cater to juniors (girls and boys) and seniors (women’s and men’s), playing in Football Federation Victoria (FFV) competition. We currently have over 150 junior players and over 50 senior players. Female participation and growth is an active emphasis of the committee. We look forward to seeing the women’s teams succeed as they have in the past. Football is a demanding sport that takes time, effort, dedication, perseverance and instils self-satisfaction. Our efforts are aimed at ensuring that we deliver an environment that is inclusive, fun, educational and competitive in scope. We provide life skills such as being focused, strong work ethic, leadership, teamwork, goal setting and the value of education. Whilst delivering a structured football training program that provides a pathway for players to develop to the highest levels. We draw our 500 players/members from the City of Casey, City of Dandenong, Knox City and City of Kingston. We also have an extended club exposure at our club away matches (throughout Melbourne) and social functions (up to 600 attendees). Our club is a year round program that emphasises competition to athletes ages 6 and up. We are a member of the Football Federation Victoria, Football Federation Australia and governed by the worldwide football governing body FIFA. 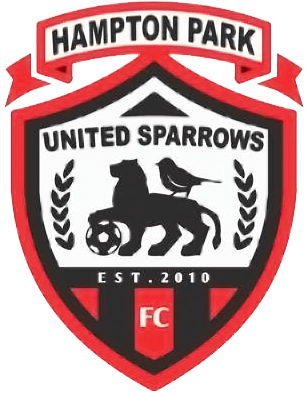 Hampton Park United Sparrows FC has a strong history, with over 30 years serving the community.